Summer is here and we’re basking in the sun’s rays, getting a BBQ on the go and inviting our friends over for food and fun in the backyard. But sometimes things can get a little too hot for us. We’re all familiar with sunburn, nights spent tossing and turning restlessly and being hit with hay fever when the pollen count soars. Don’t let these things put you off the good weather or keep you huddled away in the house watching everyone else have fun through the window. Here are a few tips and tricks to keep things cool. Read on for everything you need to know to stay safe, happy and comfortable this summer. You might not think that it’s hot enough to slather on the sun lotion. 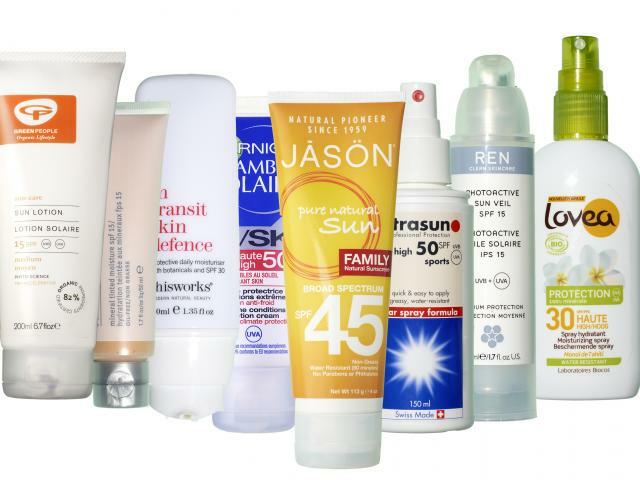 But sunscreen isn’t just for holidays abroad! You have to be careful, even when you are at home. Think of it this way: you’re under the same sun. The sun doesn’t change when you go abroad, so you have to be just as cautious when it’s hot at home. So putting a little cream on before you leave the house and topping yourself up throughout the day is essential. You will avoid uncomfortable burns and protect your skin from harmful UV rays. Remember to top up throughout the day and, if you have kids, to use a high SPF on them too. This may sound like a big step, but you can’t beat stepping indoors from the sun’s rays to a cool, refreshing home. Treat it as an investment. No more tossing and turning, hopelessly flipping your pillow in search of a cold side that doesn’t exist. You’ll be able to get your head down and sleep like a log and wake up ready for the day ahead. It’s easy to fit and will be up and going in no time. Every now and then you’ll need an ac tune up to check things are in good working order and running smoothly. But beyond that, you won’t have to do much else. It’s a low maintenance fixture with priceless benefits. Wading pools aren’t just for little ones. They’re a great addition to anyone’s yard when the weather is nice. If only for dipping your feet in or sitting in. A little wading pool will suit most yards, as they don’t take up much space and are easy to set up. You can leave the water in for extended periods of time and when summer’s coming to an end, all you have to do is tip them out, pack them down and pop them in the shed ready for next year. If you want to go all out, you can invest in a larger pool. These will allow you sit back and relax or even swim if you go for a big enough pool. You’ll truly appreciate it when the sun is at its hottest and you’ve been bathing for a few hours. It’s the perfect way to cool down. Remember to supervise any children when they’re in the pool to ensure that potential accidents, slips, and trips are prevented. And always make sure they are enclosed for safety.